The grounds of one of Wisconsin’s largest entertainment destinations got a major facelift this past fall, thanks to Phillip’s Fencing of La Crosse, Wisconsin, and CertainTeed Bufftech® vinyl privacy fence. The massive fence project at Ho-Chunk Gaming surrounds most of the 3000-foot casino resort perimeter, which in 2017, welcomed more than 700,000 visitors from all over the U.S. and three countries. The Native American casino in Black River Falls is one of the largest of six properties owned by the Ho-Chunk tribe. It started as a bingo hall in the 1980s and grew to a large gaming facility by 2000. Over the past few years, the facility underwent a multimillion-dollar renovation and expansion. It now features 38,000-square feet of gaming, with more than 750 slot machines, table games, bingo, two restaurants, a coffee shop, a poker bar and a 123-room, five-story hotel with indoor pool, whirlpool, sauna and conference rooms – all under one roof. The property is adjacent to the Jackson County ATV nature trail, where riders now have access to an onsite wash bay and convenience store when they are done with their outdoor adventure. After the hotel reopening in February 2018, the Ho-Chunk leadership team shifted its focus beyond the resort walls. 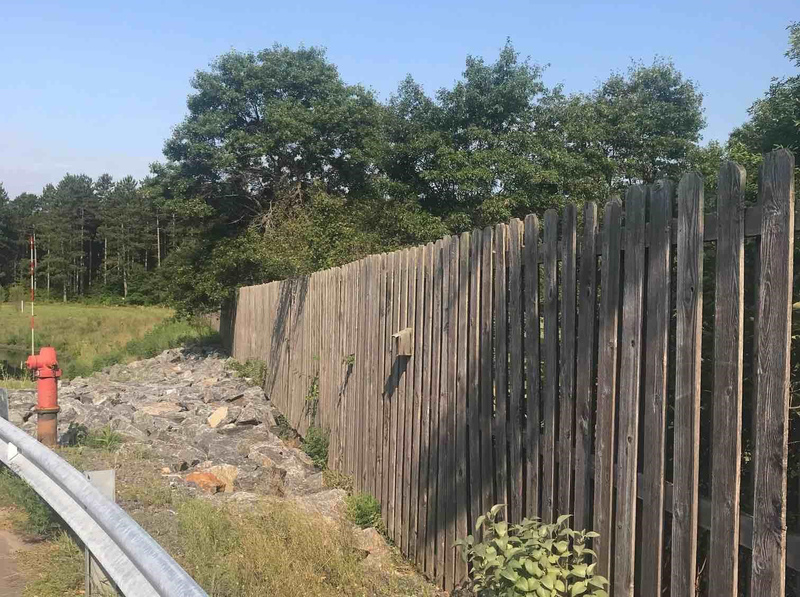 This included replacing 800-feet of the deteriorating 8-foot high wood fence that surrounded only a small portion of the property perimeter. They wanted the security, durability, longevity and limited maintenance that a tall, vinyl privacy fence promised. However, they also needed to make sure it enhanced the organic quality of the Wisconsin wilderness setting. After much deliberation and discussion with Phillips Fencing, a credentialed, CertainTeed 5-Star Fence Contractor that has served the tri-state area for over 40 years, the clear choice became Bufftech CertaGrain® vinyl fence in a dark Brazilian Blend color with realistic wood-like texture. They were so impressed with the Bufftech fence they increased coverage from a partial perimeter to a much larger linear footage, surrounding most of the new building footprint. 8-foot Bufftech Galveston privacy fence in Brazilian blend was selected for the perimeter. The massive project surrounds most of the 3000-foot perimeter. The project included 1,883 feet of 8-foot high Bufftech Galveston and 84 feet of 6-foot high Bufftech Chesterfield privacy fence, and it took an installation team of six just over a week to complete. Each Galveston panel is steel reinforced on the top, middle and bottom rails. Approximately 244 posts were used, which required a total of 20-yards of concrete for the post footings. 6-foot Bufftech Chesterfield privacy fence in Brazilian blend was selected for the parking area. Doug Mucher is Senior Marketing Manager for CertainTeed Outdoor Living. Bufftech fences feature ColorLast™ dark color fade protection and are backed by CertainTeed’s lifetime limited warranty coverage with SureStart™ parts and labor protection. To learn more, contact your local CertainTeed territory manager, or call 800-233-8990. Have a unique Bufftech fence project you’d like to share? Let us know! Leave a comment below. Plus, 3 elements to consider when selecting a fence for sound control and how best to work with an HOA.